Happy New Year! I have decided to dedicate my first post of the year to one of my favourite protective hairstyles, Senegalese Twists! Incredibly underrated, words can’t express how much I love Senegalese Twists. Simple yet stunning, it is one of my favourite protective hairstyles. Although the name denotes Senegalese origin, I do not want to speculate, as this is a hairstyle with more than one name. Nevertheless, Senegalese Twists most definitely originates from the motherland, Africa. The distinguishing factor, Senegalese Twists are created using kanekalon braiding hair/extensions. The brand of synthetic hair is a variable but X-Pression is the most popular choice. The length and width of each twist also varies. I prefer my Senegalese Twists long but small or medium in width. Easier to learn and faster to create as well as remove, Senegalese Twists are a great alternative to Box Braids. The ultimate protective hairstyle, Senegalese Twists provides security as well as versatility. It is a hairstyle suitable for any and every occasion. In regard to creating the hairstyle, many start a twist with an inch of braiding. This guarantees a long lasting hairstyle, as twists are prone to loosening at the roots. I prefer to twist from root to tip as I change my hairstyle rather frequently. 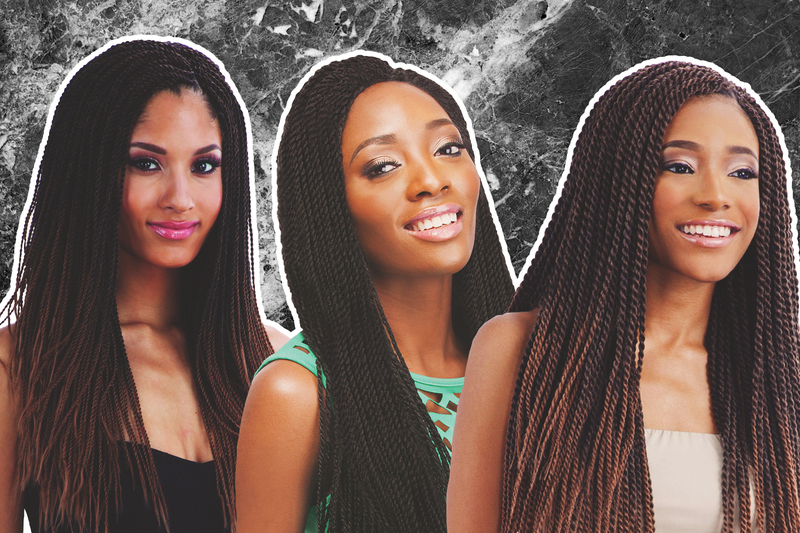 Due to the texture of the synthetic hair used, Senegalese Twists require sealing, as the ends tend to unravel. You can use hot water or a lighter. Alternatively, you can end your twist in a braid. Many have also curled the ends using rollers, dipped in hot water. Hot water styling is one of the most popular methods when sealing synthetic hair. Hot water sets curls but it can also provide a smoother sealed tip. YouTube is home to a great variety of tutorials; check out my doll adapted version here.